Very captivating. Characters are very well thought and different types of languages depicted were spot on. Patricia A V, I couldn’t have said it better! 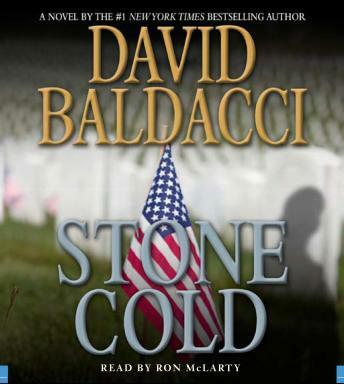 Davis Baldacci is a brilliant author with a captivating style that never fails to satisfy. His books are the kind one can read over and over, and still be just as engrossed! Stone Cold was a fine addition to the Camel Club series and fantastic to hear read by Ron McLarty. The numerous characters, locations and separate plot lines were artfully drawn by the author. The narrator made all of it easy to follow and kept me engaged from start to finish. The ups and downs of this story make for a great read/listen. I can’t wait to read the next book in the series. David Baldacci and the Camel Club rock!